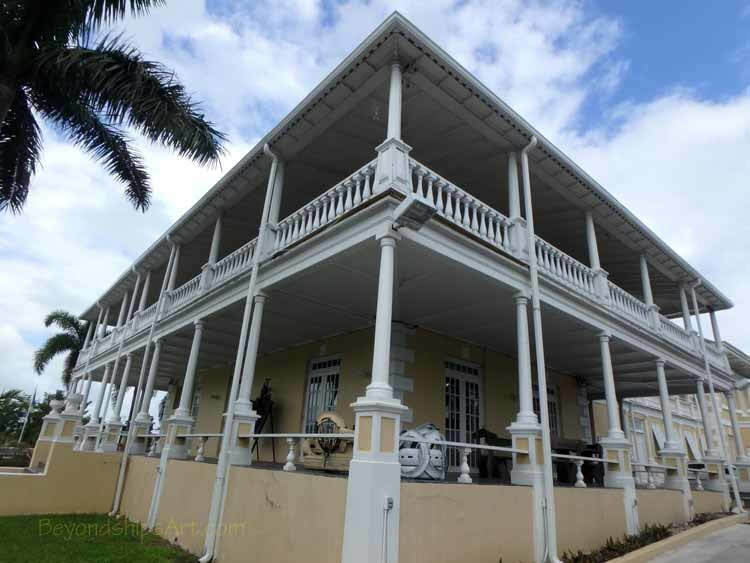 The museum is housed in the Villa Doyle, a 19th century mansion not far from Government House in Nassau. This charming building has been carefully transformed, the exterior colonial architecture has been preserved while the interior has been made over into modern exhibition space. The grounds have been nicely landscaped and include a sculpture garden. Inside, there are two floors of exhibition space. The exhibitions change over time. They are drawn from the national collection and from private collections. Almost all of the works are by artists who were born in or who live in the Bahamas. Thee National Exhibition is a juried exhibition in which Bahamian artists submit works. The goal is to present the best in Bahmian art. The museum also presents retrospective exhibits focusing on individual artists. Some of these exhibitions have featured the works of Amos Ferguson, Kendal Hanna, R. Brent Malone, Peggy Jones and Dominique Knowles. There are also exhibitions eploring various themes. For example, “Medium: Practices and Routes of Spirituality and Mysticism considered the role of religion in the Bahamas' history and present day culture.. The diversity of Bahamian art is impressive. Styles range from picturesque realistic scenes of the country to abstraction and conceptual pieces. African, Caribbean, and European influenes are present. 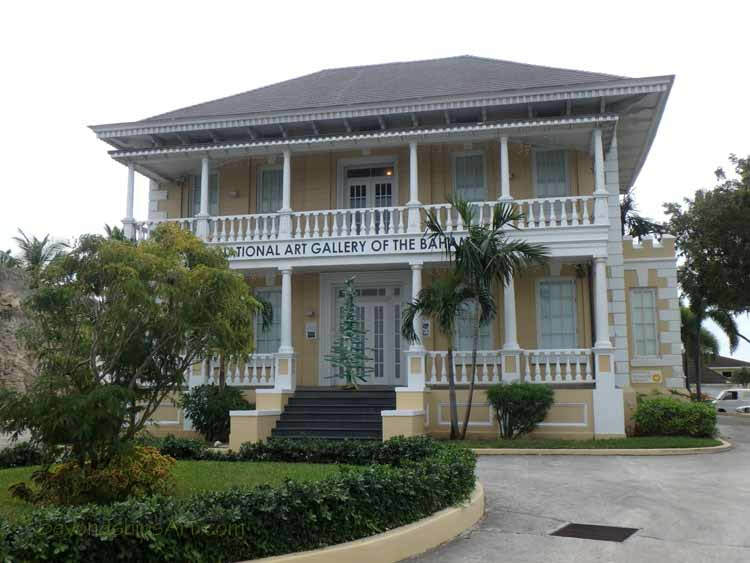 The National Art Gallery of the Bahamas' home is the historic Villa Doyle in Nassau.